The StudioPRO Pop Out Muslin Background & Reflector Clip Light Stand Support is a holder designed for the solo photographer or videographer in mind! 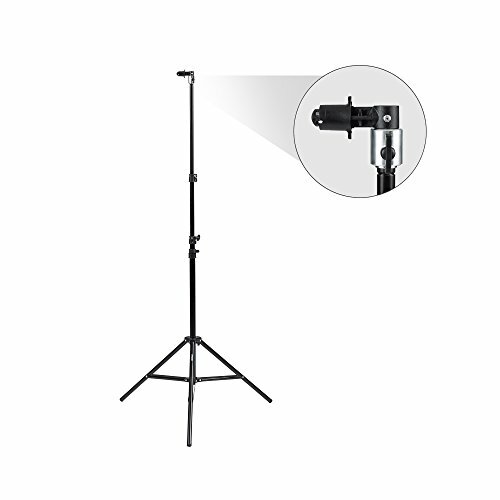 It is very easy to assemble the support system, and then simply attach your pop out background or reflector panel. Made of all metal aluminum materials, this stand and clip are sturdy while also being light weight. When not in use the stand can be used as one of our standard light stands for any light. The light stand has easy to lock knobs for height adjustment. Please note: Pop out muslin background and/or reflector sold separately.